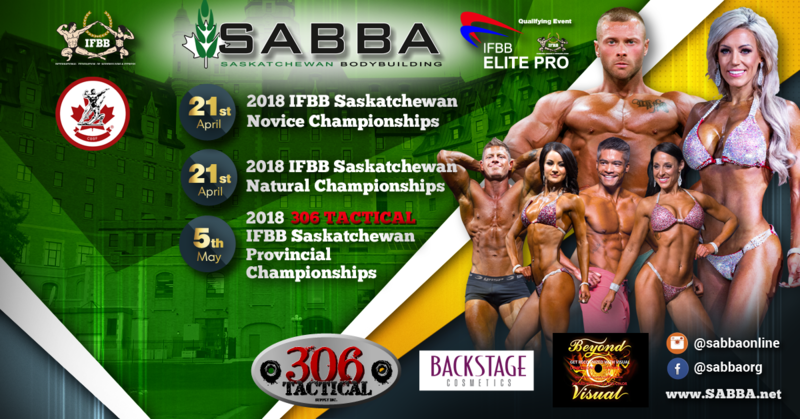 The Saskatchewan Bodybuilding Association presents our first annual Provincial Natural Championship. This will be the only event that will qualify you to the 2018 National World Events Qualifier in Montreal with the top 3 from each class qualifying. Classes in Bikini, Body Fitness (Figure), Women's Physique, Men's Physique, Fitness, Classic Bodybuilding and Men's Bodybuilding. All testing will follow IOC and WADA testing protocols. For competitors turning 35 within the 2018 calendar year. Competitor must be 40 years old within the 2018 calendar year. Competitors must be 35 within the 2018 calendar year.